Towards the end, Jordan Brand finished off the Air Jordan Fusion 3 strong, and to show appreciation they released the Air Jordan Fusion 3 (AJF 3) Black / Fire Red – Cement Grey – White. 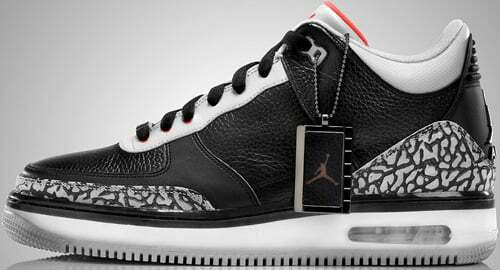 In short, we can call them the Air Jordan Fusion 3 Black Red Cement, which released September 6th 2008 for $135. As a general release, you can find the Air Jordan Fusion 3 Black Red Cement almost anywhere.